TERN introduces the UB controller. TERN now has a new UB controller. Boxed in an extruded aluminum enclosure of 4.0×3.2 inches, the U-Box(UB) is designed as a low cost, USB powered data logger, and an industrial embedded controller. 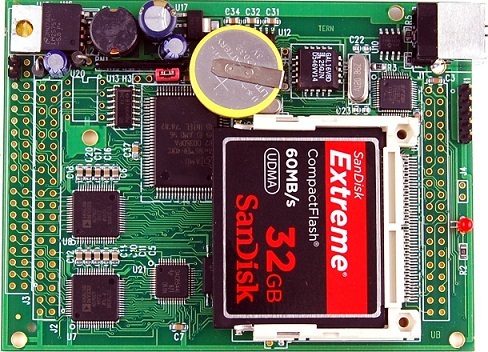 It integrates 16-bit ADCs, 24-bit ADCs, 16-bit DACs, CompactFlash and a High Speed USB 1.1/2.0 slave interface.